iOS 12 was announced right on cue at Apple’s 2018 Worldwide Developers Conference, but a rumored major redesign was nowhere in sight. This year Apple is delivering a refined version of iOS 11 (our complete guide to iOS), with a focus on fixing what’s broken rather than overhauling what works. We’ll likely see some more exciting features revealed in the fall. Apple then takes the wraps off new iPhones, including a rumored iPhone XI in various sizes. Until then, here’s everything we know about iOS 12. These are two words every iOS user loves to hear. This year’s iOS update will focus on refinement and boosting performance. This is particularly notable since iOS 11 was criticized for its pesky bugs and subpar performance, particularly on older models. The iOS 11.3 update helped somewhat, but iOS 12 will make further improvements. Accordingly, iOS 12 targets not only the latest devices, but past hardware too. Apple promises big improvements for older models, with quoted improvements for iPhone 6s Plus users of 40 percent faster app launches. Combined with 50 percent faster keyboard popup, and a camera that’s up to 70 percent faster to launch, iOS will be smoother than ever. Apple claims that app launching is now twice as fast overall for all devices. Performance is already excellent on the iPhone X and 8, so don’t expect major improvements there. This move is likely a response to last year’s battery fiasco, which saw a performance reduction for older devices based on battery condition. 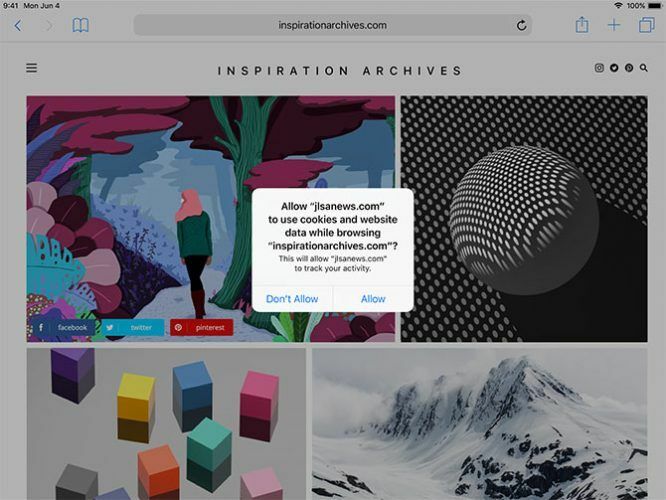 Apple believes privacy is a fundamental human right—it says so on the iOS 12 minisite—which is why the new update makes it harder for advertisers to track users across the web. Social media share buttons are in the firing line, with Apple promising to block a favorite tracking technique used by Facebook and others. Safari will also attempt to obfuscate unique device characteristics, plus provide tracking alerts for cookies and other website data. It might not sound like much, but it’s one way Apple is moving to protect its customers. It’s a move that’s befitting of a hardware company, since they don’t have a horse in the online advertising race. This is also a reflection of the tech world’s current mood when it comes to data privacy and online advertising. With recent developments like the EU’s General Data Protection Regulation, many consumers have privacy in mind. In iOS 12 you can finally assign your own voice commands to Siri. This lets you trigger app functions via a new Add to Siri hook. An app called Shortcuts will let you manage your custom commands, and you can even create other shortcuts to run multiple commands at once. These might include finding your keys, setting up a route to work, and switching off your lights. Siri will also have a deeper understanding of your routine, which it learns based on your app usage. This means more relevant suggestions on your lock screen about nearby amenities, your schedule, and even notifying you to turn off your ringer while in a movie theater. Last year’s conference was dominated by news of ARKit, Apple’s new API for augmented reality apps. 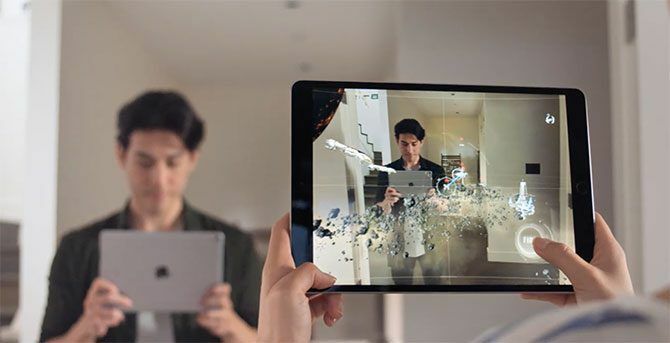 Developers have already put this to excellent use, with many shining examples of AR apps available on the App Store. The second version doubles down on Apple’s commitment to the technology, perhaps in anticipation of an Apple-branded headset (potentially this fall?). ARKit 2.0 lets multiple iOS devices interact for multiplayer AR fun, with an on-stage demo involving a virtual LEGO set and two iPads. Apple also showed off an app called Measure, which lets you measure items by dragging your finger. Though there are already apps like this in the App Store, presumably ARKit 2.0 will bring improved accuracy. Even though there weren’t any breakthrough AR moments, two WWDC events in a row have featured the technology prominently. This suggests Apple has serious AR plans it has yet to realize. Remember Animoji, the iPhone X feature that lets you map your expression onto an emoji character? Memoji is similar, except you can now customize your own avatar and use that instead. This would be a bigger deal if we knew if all new iPhones (including the 9) will have the True Depth camera, but we’ll have to wait till fall to find out. 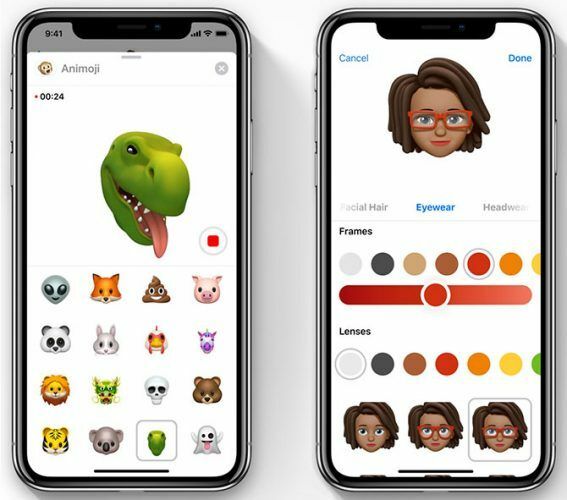 iOS 12 also adds four new Animoji including a koala, ghost, tiger and T-Rex. There’s also brand new animated text, filters, and stickers you can use to snap videos and photos right inside Messages. 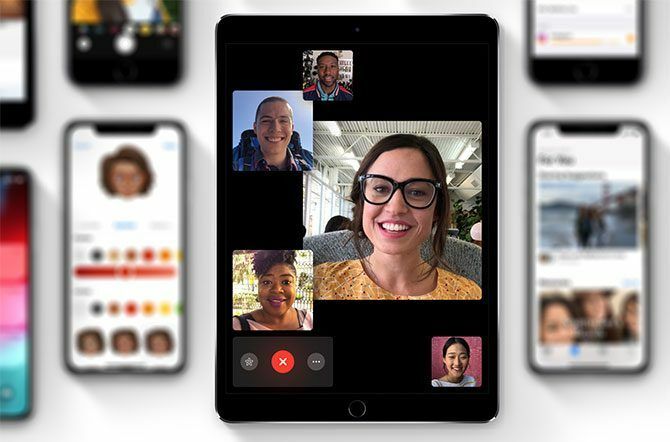 With iOS 12 and macOS 10.14, you can now have FaceTime group chats with up to 32 people. Tiles move around the screen based on who is talking, just like Google Hangouts. You can now also use Animoji (and Memoji) or stickers while in a call. It’s about time FaceTime added group chat, since Skype and other competing platforms have had the feature for years. Apple is expanding on its machine learning with an improved version of Photos. You can now refine your searches with multiple keywords to better find what you’re looking for. You’ll also see more suggestions for groupings like recent events, places, and people. The app gets a new For You tab in a similar vein to Apple Music, which makes suggestions based on your photo library. Unfortunately many of the more advanced features—like automatically detecting, tagging, and sharing with friends—require iCloud Photo Library. That means you’ll need to upgrade your iCloud storage in order to make use of them. iOS 12 places an emphasis on privacy in the traditional sense of the word. Apple has introduced features that make it easier to ignore your device and manage everything on it. A new feature called Screen Time monitors how much you use your device, and exactly what you’re doing with that time. It provides a nice breakdown to parents of what their children are doing with their devices, and makes it easier to curate and limit that experience. Grouped notifications on the lock screen mean less clutter. You can expand and collapse groups, or dismiss a whole load of notifications at once. You can also 3D Touch to see controls for managing your notifications right in the lock screen, rather than having to navigate the Settings menu. iOS 12 brings some small updates to boring apps too. 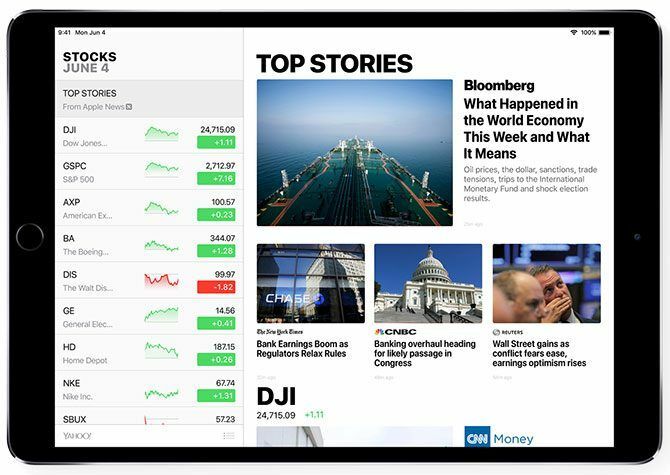 News and Stocks merge into the same app, which means Stocks will make its way onto iPad for the first time. Voice Memos has also been ported to iPad (and macOS 10.14), with automatic iCloud syncing for recordings. In other news, iBooks is now just “Books” and CarPlay supports third-party apps (like Google Maps or Waze) for navigation. Siri can look up more information, including cooking advice and celebrity gossip. Suggested passwords are now even stronger than before. One super-handy tiny feature worth mentioning is that security codes for services that use two factor authentication are now AutoFill compatible. So if you’re waiting to log in and you receive the text, iOS will let you tap a button without having to memorize the code or open the message. Neat. Is Your Device Compatible With iOS 12? Any iOS device that’s compatible with iOS 11 will be able to run iOS 12. That’s another year of compatibility for owners of the iPhone 5S, iPad Air or mini 2, or iPod Touch sixth generation and newer. The early developer preview of iOS 12 is already available, with a more stable public beta expected in a few weeks. You can sign up for the Apple Beta Software Program to be notified when it’s ready so you can try out iOS 12 before it’s ready for launch. Just remember Apple doesn’t recommend installing the beta on your main device, as it may have performance issues and bugs. There’s no doubt that this year’s announcement lacks the heavy hit of a brand-new technology, service, or radical redesign. But that’s not necessarily bad. Apple’s renewed commitment to older devices and improving performance across the board should be reassuring for customers both old and new.